MANILA, Philippines - There's no going around it anymore, candidates. The Commission on Elections (Comelec) is putting a stop to the creative ways of candidates who try to get media exposure beyond prescribed airtime limits. Comelec will begin counting the minutes on February 12, the start of the official campaign period, up to May 11. Each candidate is allowed 120 minutes of advertising in all TV networks and 180 minutes in all radio networks. 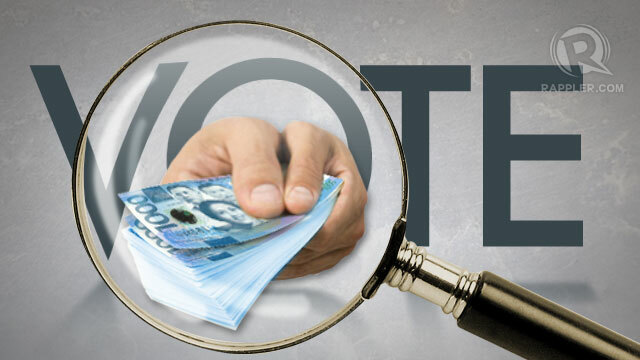 MANILA, Philippines - The Commission on Elections (Comelec) has deputized the Anti-Money Laundering Council (AMLC), the Commission on Audit (COA), and the Bureau of Internal Revenue (BIR) to assist poll officials in monitoring candidates' compliance with the country's campaign finance laws, according to a new resolution issued on Wednesday, January 16. MANILA, Philippines - There is no more rule against early campaigning, so Commission on Elections (Comelec) Chairman Sixto Brillantes sees nothing wrong with President Aquino’s provincial tour accompanied by candidates of the ruling Liberal Party (LP). MANILA, Jan 16, 2013 (AFP) - The Philippines is set to regulate Internet advertising in May mid-term polls as part of an effort to rein in campaign spending, an election official said Wednesday. 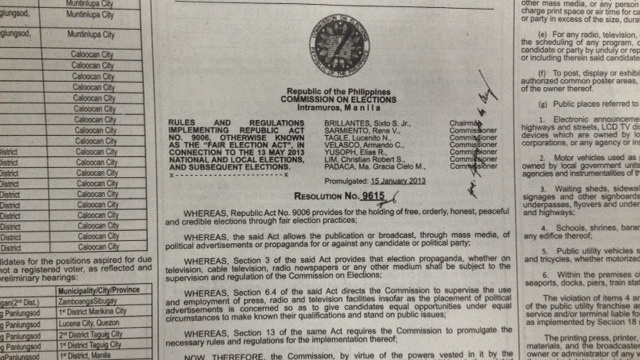 As part of the regulation, candidates for the upcoming elections will be limited to three days of online adverts per week, Commission on Elections spokesman James Jimenez said. that the way the poll body rejected bidders and ended up awarding the contract to Smartmatic was illegal and indicated collusion.